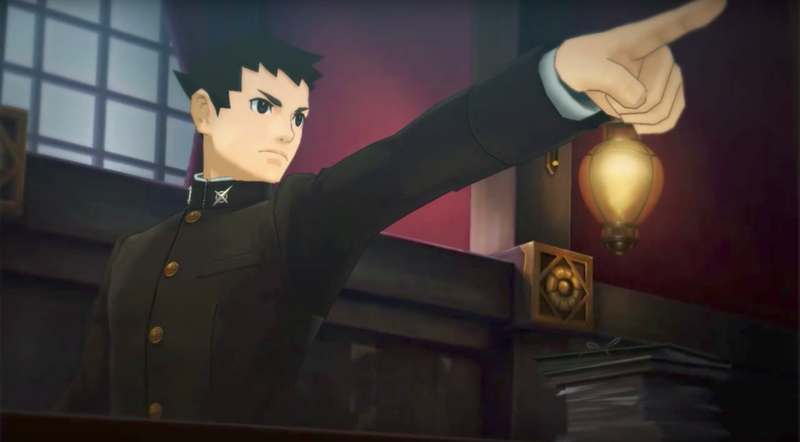 After spending months translating a Japanese Ace Attorney game on YouTube, two fans had their subtitled videos taken down by Capcom. UPDATE 11:14, July 12th: The videos are now back up on YouTube. Dai Gyakuten Saiban is an Ace Attorney spin-off starring an ancestor of Phoenix Wright in feudal Japan that has not been released in English. For O and Garbage, who run a Dai Gyakuten Saiban YouTube channel, it’s their favorite Ace Attorney game. For fans of Japanese games that never come west, it’s not an uncommon story. If you don’t speak Japanese, but want to enjoy or understand a game in a franchise you like, you’ll have to rely on fan translations. If you want to play Mother 3, the sequel to beloved game Earthbound, you’ll be relying on a fan translation. But fan translations for games, manga and anime exist in a sketchy legal space, and are at the whim of the people who own the property being translated. In 2014, for example, fan translators for the game Final Fantasy Type-0 were forced to take down their patch after Square-Enix sent them legal requests to do so. Even knowing this, O and Garbage weren’t that concerned about their videos being taken down. One of the few remaining videos on their channel is a subtitled trailer for the game. But last Sunday, June 25th, O discovered that the entirety of their translated Dai Gyakuten Saiban videos had been taken down by Capcom. The copy of the takedown notice they showed me indicated that they were manually detected, and not a victim of the automated “Content ID” system that is sometimes overzealous in how it flags gameplay videos. I reached out to Capcom about this and they declined to comment. Frustrated, O went to the r/AceAttorney subreddit. “It has come to my attention, as I was sick, that all of our hard work has been removed by Capcom” she wrote. She went on to say that two other channels have also uploaded translated playthroughs of Dai Gyakuten Saiban but have not had their videos taken down. O also said that they would nevertheless translate Dai Gyakuten Saiban 2 and she has since filed a counterclaim. Neither O nor Garbage know why their channel was targeted specifically, and it’s likely they won’t ever know. “Most likely because it’s a soft subtitled translation, and without the captions turned on it’s nothing more than a playthrough of the game,” O said. That said, one of the remaining channels with a translated Let’s Play of Dai Gyakuten Saiban also uses soft subtitles. While she’s not as frustrated as she was when she first found out, O and Garbage are both “bummed,” as Garbage puts it. But neither of them have very many regrets about starting the project in the first place.